Lenovo has announced its ZUK Edge smartphone. The latest Lenovo smartphone is equipped with a Snapdragon 821, Adreno 530 GPU, either 4GB/6GB of RAM and 64GB internal storage. 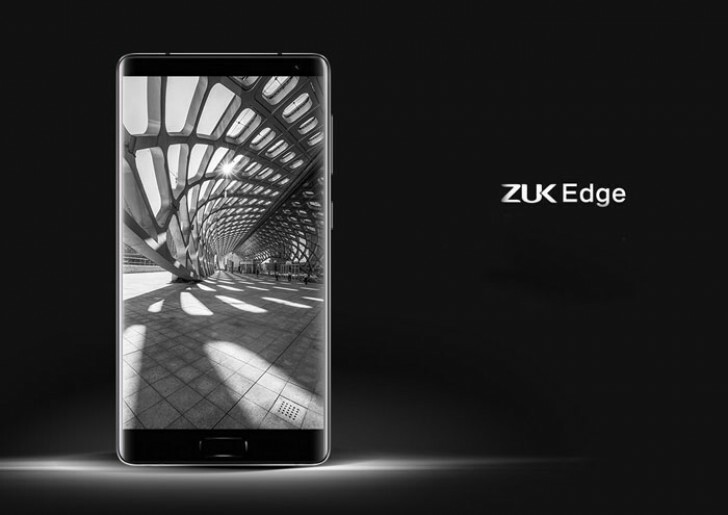 The new ZUK Edge smartphone comes with 5.5″ display with a 2.5D curved glass. The company claims 1500:1 contrast ratio and 85% NTSC color coverage. A fingerprint sensor is installed below the screen, which is capable of unlocking the device in 0.09 seconds. There’s also a backend main 13MP camera with phase detection autofocus, f/2.2 aperture, and 1.34μm pixel size. The LED flash comes with a heart rate sensor. The ZUK Edge will come with latest Android 7.0 Nougat. The phone supports Dirac HD Sound providing better audio quality. The also supports 4G VoLTE, dual-band Wi-Fi 802.11 ac, Bluetooth 4.1 LE and USB Type-C. The ZUK Edge measures 142.9 x 74.5 x 7.68mm and weighs 160 grams. The phone is featuring a 3,100mAh battery and supports Quick Charge 3.0. Expect Lenovo to release the ZUK Edge to market on January 1. You can get the 4GB RAM version at $330 (2299 CNY), whereas the 6GB RAM model is bumped to $360 (2499 CNY).